Have you wondered if there is more to life? That you can author your own life, and that you can have it all – joy, deep meaning, prosperity, freedom, amazing relationships, fulfilment, and balance – and it’s not an either/or world? This affected my relationships, my health and freedom. I knew there had to be a better way but I did not know what it was so I needed a timeout so it was time to get away from it all, Australia! It was the biggest decision I ever took at the time and it opened my eyes. I handed in my notice and packed my bags. En route to Australia I travelled all over Europe, Southeast Asia, Oceania, and the Middle East, 21 countries in under two years and I learnt so much. I knew that I want much more out of life and I wanted to find a way I could travel more. TODAY, I AM AN ENTREPRENEUR, BUSINESS MENTOR, INTERNATIONAL TRAINER AND SPEAKER SPECIALIZING IN HELPING PEOPLE ENVISION, CREATE AND DESIGN THE LIFE THEY TRULY LOVE. - Spearheaded the launch of a $900 million company into the Irish market back in 2013. - Spoken at seminars with up to 5,000+ people in Italy, Ireland, UK, Romanian, Sweden, USA & Australia. - Shared the stage with Marc Accetta, Peter Powderham, Shush Arya and many more. - Developed a lifestyle that has allowed me to travel to 40+ countries in the last 5 years. - First person in Ireland to be featured in the business Magazine Voyager. - The #1 Irish income earner in my current networking company. - First 100k LTE Club member in Ireland with my company. - Work with & developed an international leadership team. - Official Trainer with a top network marketing company. - Mentored entrepreneurs from more than 10 countries. - Founder of Team Limitless Global (TLG). My mission is to travel the world, speaking, training and empowering people to live an inspired, fulfilling and rich lives. I focus on helping people to make more money, escape the 9-5 and enjoy the freedom of the laptop entrepreneurial lifestyle. My goal is to help awaken the dreams that many people have left merely to be covered in dust… I’m here to share with you a few parts of my journey of what I’ve been studying, practising, and now teaching. 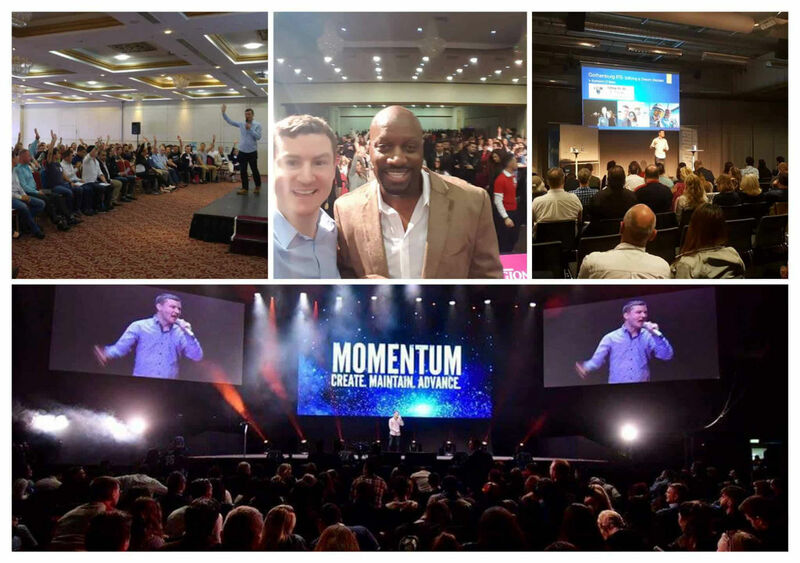 I am right now looking for leaders, visionaries, entrepreneurs and for ordinary people who want extraordinary results in their life, from different countries around the world to invest substantial time and resources in, in order to create something special. If you are that person, you are in the right place at the right time. Connect with Eamonn so we can build a relationship that will allow us to empower more people around the globe. It doesn’t matter what background you have, which school you’ve attended or your skin colour. If you are Coachable, Teachable, Trainable… and you are Hungry and have a Desire to WIN… you Qualify to work with me! Let’s start to create a life you truly love! Thank you for spending the time to get to know me better and I look forward to getting to know you as well.